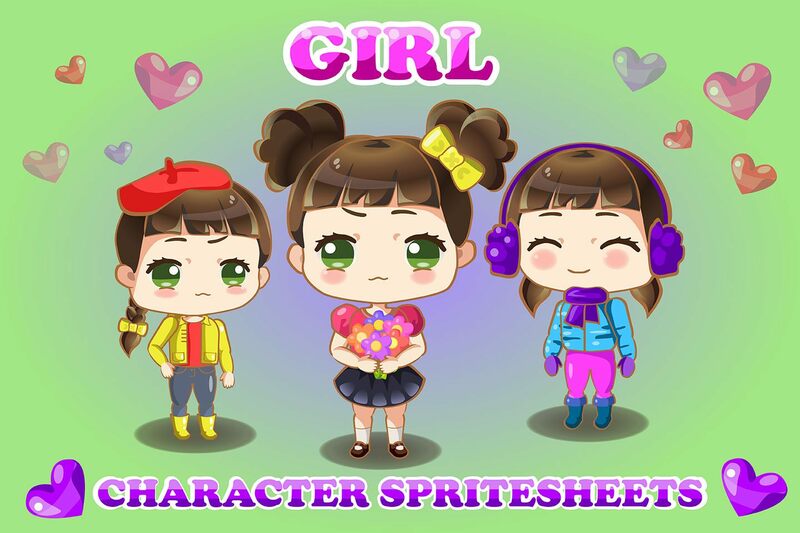 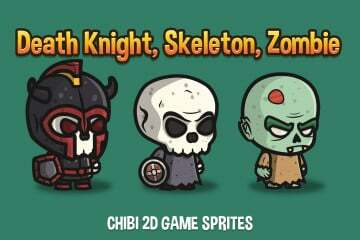 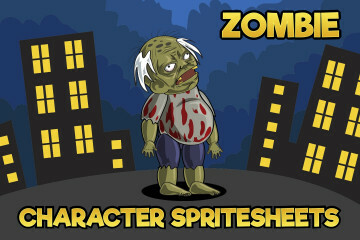 Here is a collection of 2D Game Chibi Girl Character Sprite Sheet graphics. 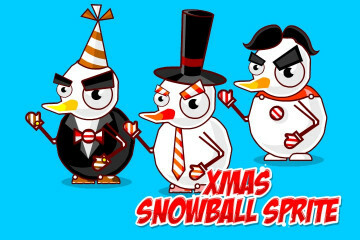 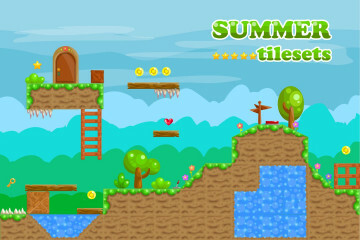 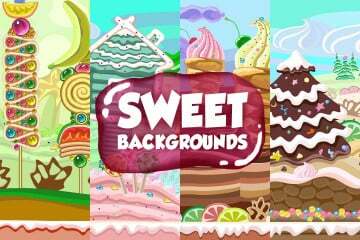 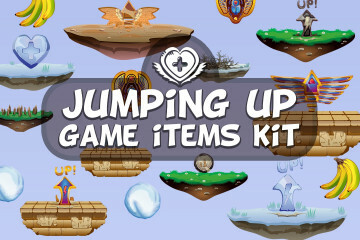 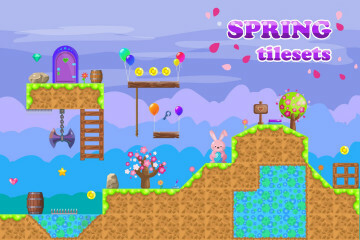 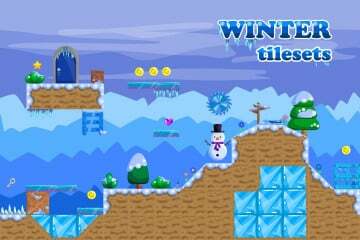 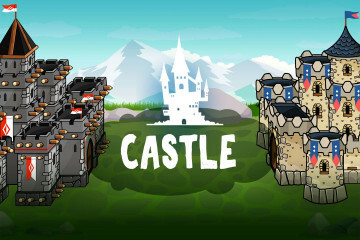 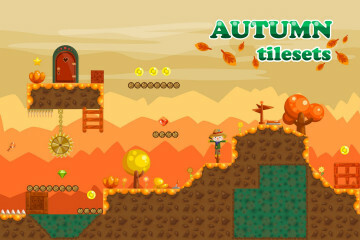 It is designed for those who make a romantic game in the genre of platformer. 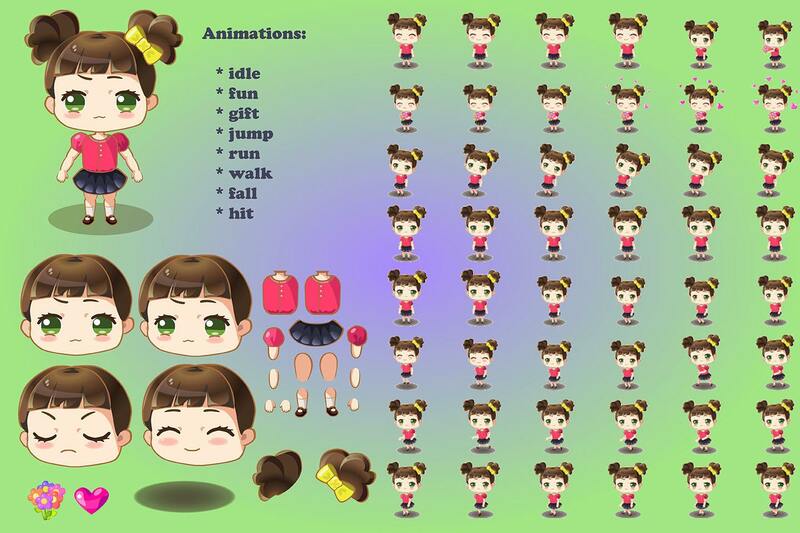 If you need an animated cute character, maybe our asset is for you. 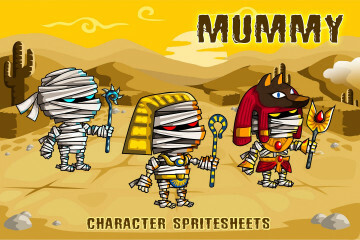 In the archive you will find the AI file. 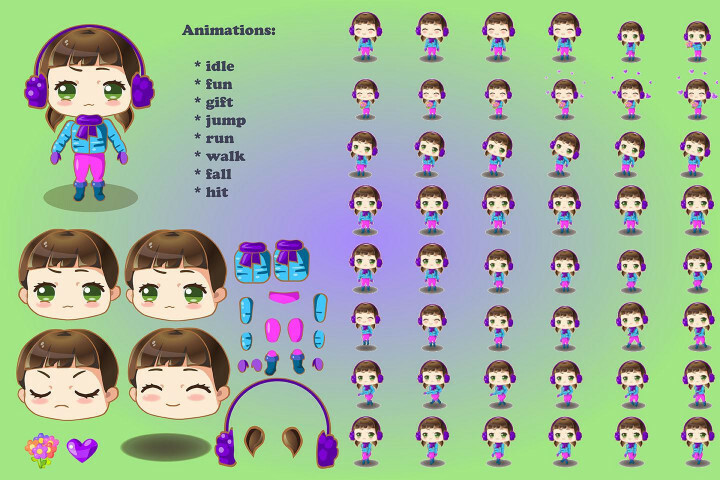 It is easy to edit. 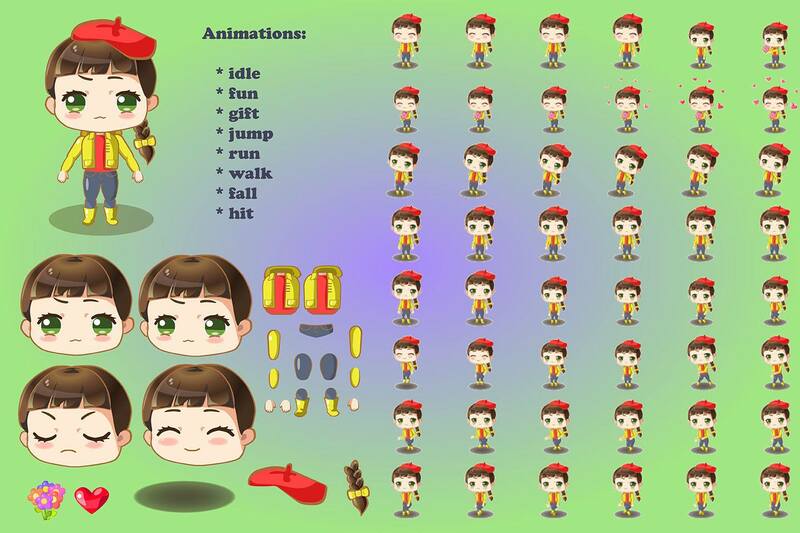 This will allow you to modify the schedule to fit your needs without losing quality. 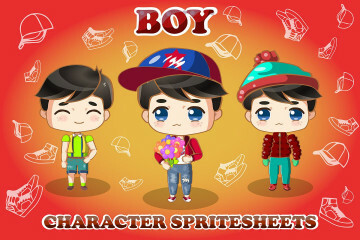 Also convenient format EPS. 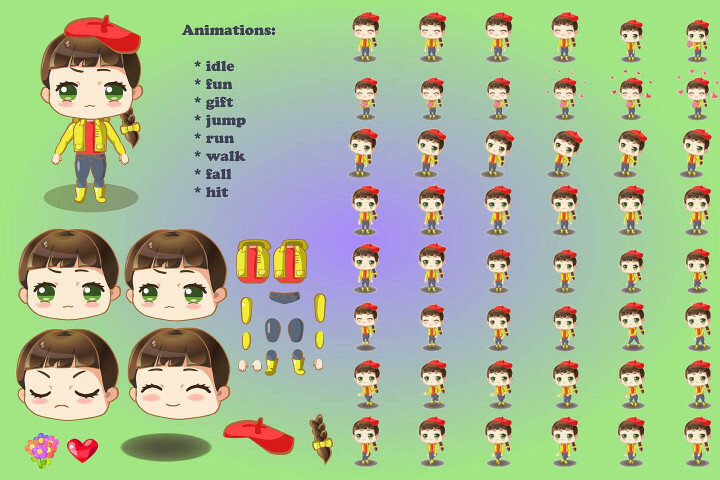 We made for you a PNG sprite animation and of course SCML to work in a popular program Brashmonkey Spriter. We hope all this will allow you to easily use this product.